Virgin Australia has just announced a great new way to enjoy long flights, and guided in-flight meditation might just be the answer frequent flyers have been waiting for. Airports can be stress hubs; first, you can grab a coffee for $6, then you need to rush to get into the lengthy security check queues and then there are the delays, waiting for those with too much luggage, and finally, you get to walk down to the plane. Once in your seat, the lack of personal space is the first you need to get used to and most copes with this by making flight time their habitual napping times, while others read or watch movies. It’s a great time for meditation, Sir Richard Branson believes. 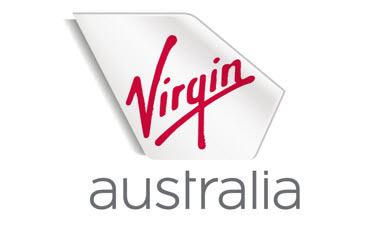 Therefore the Virgin founder, on Thursday personally hosted a flight with 65 special guests onboard, and the Virgin Australian flight become the first in the world to offer meditation flights. The partnership between Virgin Australian and Smiling Mind now offers flights in and around Sydney with guided in-flight mediation on both international and domestic flights. 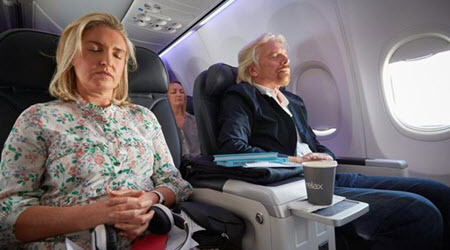 This sis offered via the entertainment system app and is the hope of Sir Richard Branson that in-flight meditation with indicate just how serious his company take the wellbeing and mental health of their passengers. He hopes it will motivate customers to adopt a new life-long passion for the practice. During Thursday’s flight, he told the special passengers how important it is to train your mind and your body. There are only a rare few that have never been indirectly or directly impacted by anxiety. Virgin wants to encourage passengers to relax and use their flying time aboard their flights to exercise their minds and find peace via meditation. During flights, there are a lot going on and plenty of different sounds, with meditating you get to just relax and unwind since you get to not focus on anything that would normally make you anxious. The experience 30,000 feet up in the air proved nothing short of wondrous and with the guided meditation your body and mind become calm and afterwards the sky can be admired in greater detail as ever before. During the special first-ever meditation flight everyone felt the calmness and felt that the new in-flight guided meditation would definitely be a great help for everyone to unwind and relax during long flights and dealing with time differences while it helps you to sleep and feel refreshed before reaching your destination. The CEO of Smiling Minds, Dr Addie Wootten says mindfulness and meditation go hand in hand. Both are amazing tools to prevent stress that are travel-related. When travellers finally get on the plane, it is the first time they come to a standstill for the day, and with in-flight meditation, they have much to look forward to as it provides the perfect way to relax and enjoy a sense of clarity and calmness.